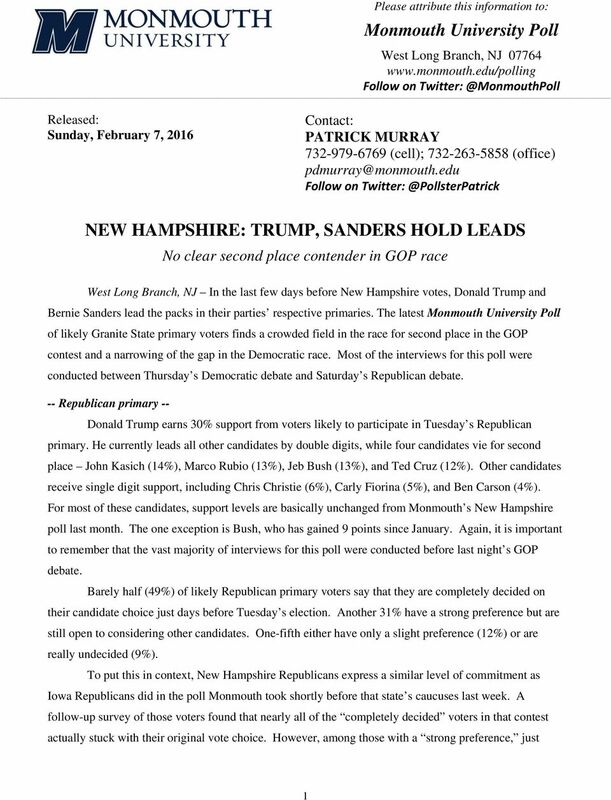 Download "NEW HAMPSHIRE: TRUMP, SANDERS HOLD LEADS"
EMBARGOED FOR RELEASE: Monday, February 29 at 6:00 a.m.
Nevada. This sample includes 606 interviews among landline respondents and 400 interviews among cell phone respondents. The sample includes 692 interviews among landline respondents and 353 interviews among cell phone respondents. 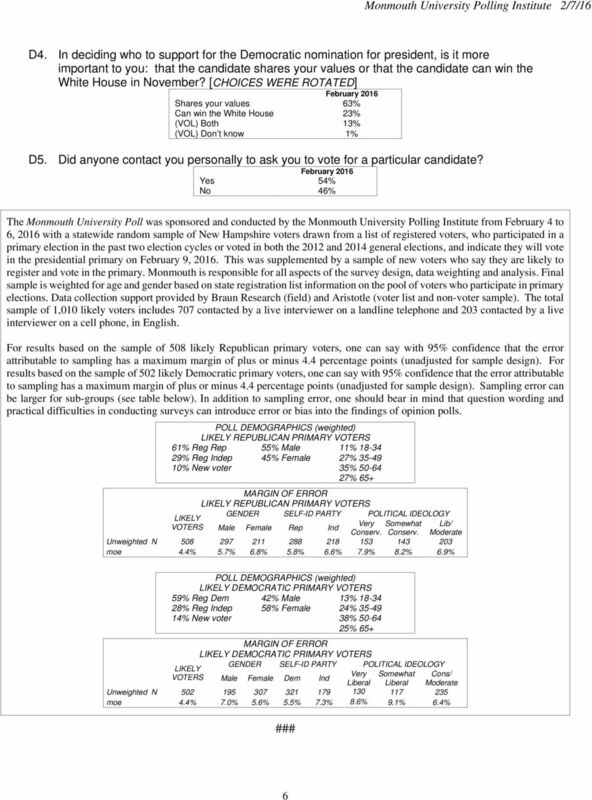 NBC News/WSJ/Marist Poll January 2016 New Hampshire Questionnaire. 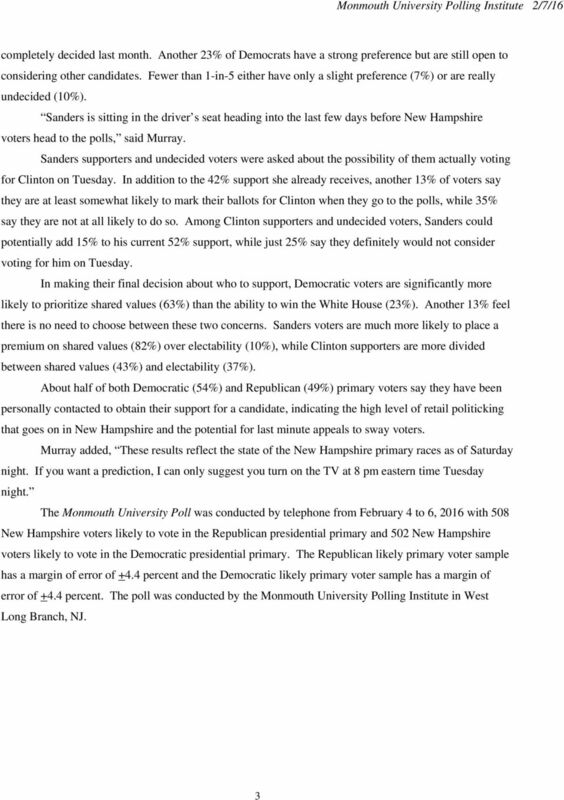 Screener <Marist Poll Introduction> Are you 18 years of age or older? EMBARGOED FOR RELEASE: Wednesday, December 23 at 4:00 p.m.
EMBARGOED FOR RELEASE: Wednesday, May 4 at 6:00 a.m.
EMBARGOED FOR RELEASE: Tuesday, March 1 at 6:00 a.m.
Florida. This sample includes 614 interviews among landline respondents and 400 interviews among cell phone respondents. MAIN QUESTIONNAIRE 1. Even though you don t plan to vote, thinking about the 2014 election, what are the most important issues facing the [Latino/Hispanic] community that our politicians should address? 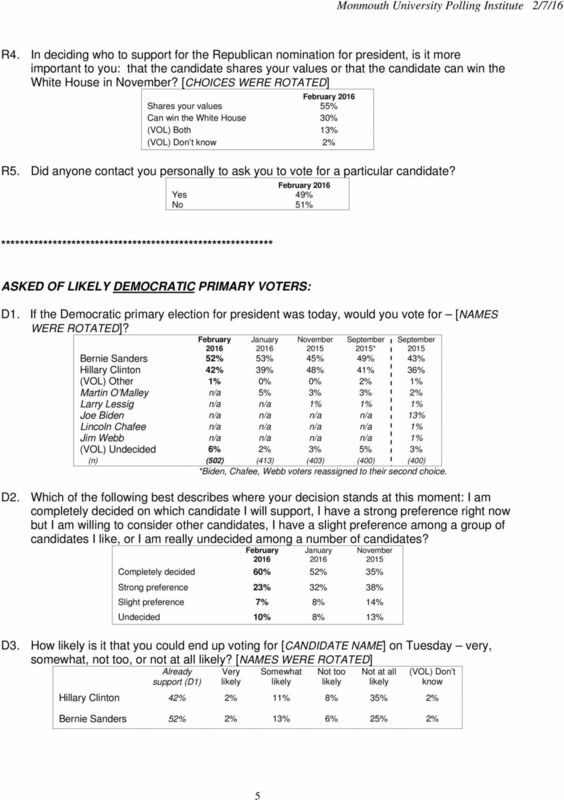 UNF Poll reveals Hillary Clinton holding on to her lead in the Democratic Primary race. 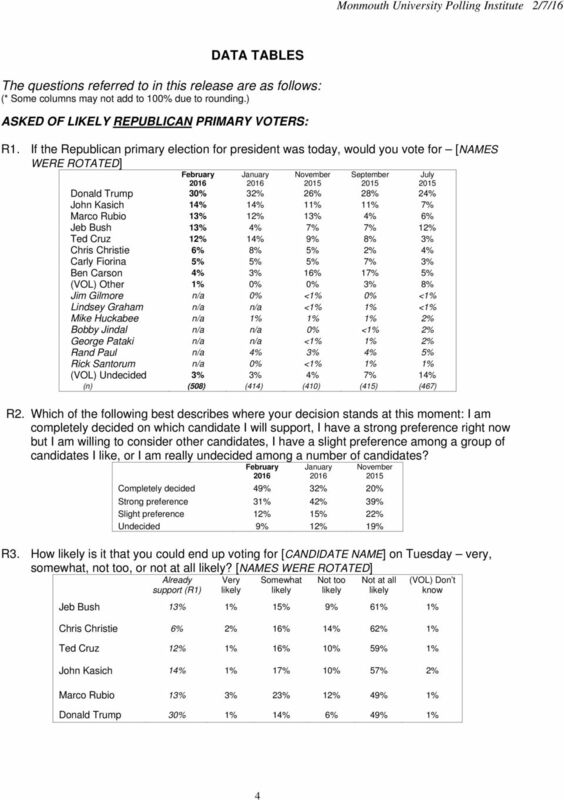 February 29, 2016 Media Contact: Joanna Norris, Associate Director Department of Public Relations (904) 620-2192 UNF Poll reveals Hillary Clinton holding on to her lead in the Democratic Primary race.